With the kind permission of the people of Anaheim, I would like to protest your police today. I am one of the outsiders who's coming to your city today to protest the cowardly shooting of Manuel Diaz, the five other fatal police shootings this year alone, and the police incursion into a neighborhood protest with guns and dogs. I'm sure some of you would rather I spend my day visiting Disneyland down the street, and I understand that having me tromp and shout through your neighborhood is disruptive. That is the point: to disrupt the daily functioning of Anaheim. I am here to draw attention as much attention as I can to what's happening to you and to all of us, to the racially-sparked oppression that plays itself out in the ultimate showdown of militarized police turned against the people they are supposed to protect in steady, low-level warfare. Before I arrive, I want to thank you for your hospitality. Just as the police are uniting in nationwide and federally directed strategies for addressing criminalization and protest, the people have to come together in response. If the Anaheim police are allowed to continue to shoot people in the back while in pursuit, then the police in my city will understand they have permission to do the same. That is why I'm here. We can no longer look at our police or our communities as isolated instances, separate and apart from each another. If we ride trains we are Oscar Grant, if we wear hoodies we are Trayvon Martin, if we take out a cell phone we are Amadou Diallo, if we have a bachelor party we are Sean Bell, if we are homeless we are Kelly Thomas, if we are in the line of fire we are Susie Pena, and if we run from the police we are Manuel Diaz. Indeed, with Secure Communities and the federal administration of coordinated crackdowns against Occupy encampments, it seems likely that your police could be a testing ground for police-initiated violence across the region and the country. So I come to Anaheim, and I ask you to come to my defense when the police in my city indiscriminately shoot residents. I especially want to thank Manual Diaz's mother, family, and friends for allowing us to use their tragedy to spotlight what the police are allowed to do in Anaheim. It is brave and generous of you to allow us to add to the turmoil of your past week and to what is, I'm sure, a loss you still have come to grips with. I also offer up my thanks to the spirit of Sr. Diaz, for allowing me to invoke his name and life to fight against the police state. I understand the family has asked me to be peaceful, but I can not promise that. I will try to be non-violent—and violence against windows and dumpsters barely counts compared to the violence inherent in the armament of the Anaheim police—but I am not Ghandi. 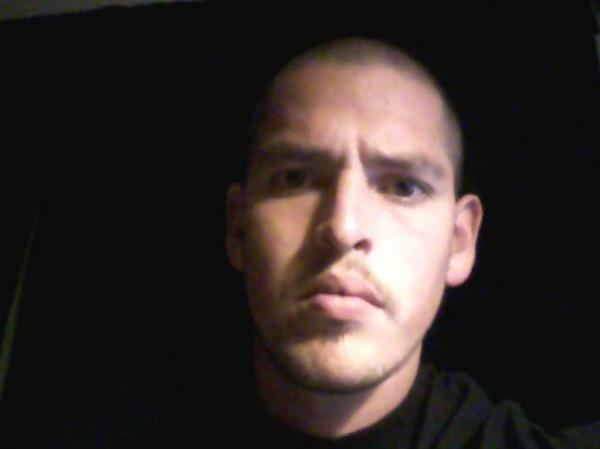 What I know now is that in Anaheim, if I run from the police, I will be killed. So I claim the right to defense, to the inherent right to protect myself and my friends. If the police draw on me, if they sic their dogs on me, I may defend myself and those around me. If I am detained, I may resist my own kidnapping and liberate others who are held under the flag of Anaheim law enforcement. The Anaheim Police Department have abrogated their right to detain, arrest, or charge me with a crime. Killers have no protection under law to detain a person, no right to charge a person under law, no right to take any action against any person in the name of the people. 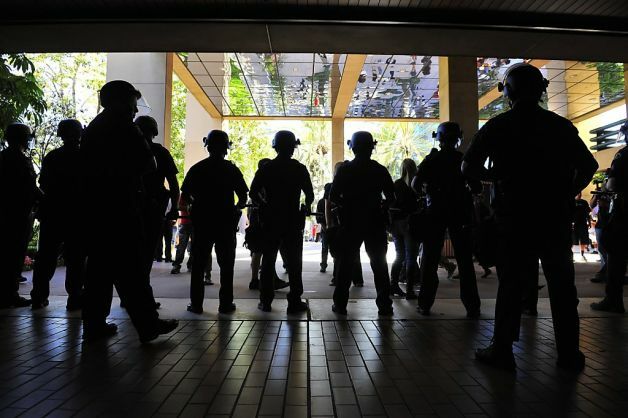 The residents of Anaheim have, for a long time, been warning the City Council about the rogue police force in their town. The Anaheim police have responded in the past week, since the killing of Sr. Diaz, by drawing on and shooting two more people. The Anaheim police are now engaged in a gang war against Anaheim residents, and gangs have no authority. The Anaheim Police Department has no legitimate authority, and it is bizarre and frightening that the City rulers continue, even today, to put these disgraced thugs on Anaheim's streets to taunt and terrorize the people who live there. I do not recognize the gang calling itself the Anaheim Police Department as anything other than outlaws and civic terrorists intent on intimidating west Anaheim at the behest of a city council elected by east Anaheim. We can debate whether anyone deserves to die at the hand of another. There is no debate that no one deserves to die by cop. It may unfortunately happen that police must use lethal force, but it is never deserved. People have the right to be heard, to a trial, to a jury of peers, and to a long and careful review before the state determines that someone deserves to die. Yet I'm hearing your police chief whisper that because Sr. Diaz was a “known gang member,” whatever those sweeping code words mean, he deserved to die. There are even whispers that Sr. Diaz deserved to die because he ran from the police. He ran, no doubt, because he was afraid of the Anaheim police. He was correct. What reason would he have to expect the APD, with four previous killings under their belts just this year, to treat him decently if he stood still and waited for his arrest? So he ran, and he was shot in the leg and, once he fell to his knees, he was shot in the head, and then he was handcuffed. There was no safety for Sr. Diaz from the APD. I come to Anaheim today to say that today's police gangs must end. Paramilitary thugs may not roam city streets, yours or mine, with the purpose of protecting property and not people, intimidation must not replace “protect and serve,” and we must be safe from the police. That is my message, and again, my thanks to the people of Anaheim for letting me use your streets to say it.